There is no better incentive to make a positive life change than the beginning of a new year – and there is no change more rewarding than the one you can wear proudly on your face. If you’re looking to rejuvenate your smile this year, come to Dentistry on 7th where we are committed to giving you a healthy, glowing smile – and have all the tools to do so! We are your local dental clinic in Hamilton and are happy to use our resources to make your smile the healthiest it can be. Whether you require teeth whitening for an extra glow or an orthodontic appliance to better orient your teeth, we’re here to help. Our clinic is staffed with professionals, which is why all you need to do is meet our team of dental experts to know that when you choose us, you and your smile are in the right hands. Your smile gives a strong first impression, which is why we want to help you find the service – or services – that will best bring an undeniable glow to your grin, and mood! Start the new year with an entirely new level of confidence, and dental health. Dentistry on 7th is a professional Hamilton orthodontist you can trust. 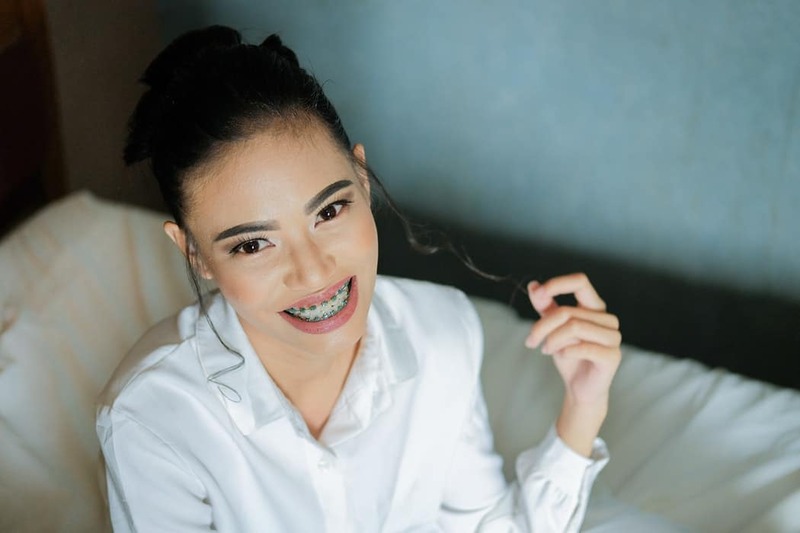 We provide a variety of orthodontic services including braces that will help straighten out your teeth so that you can smile with confidence. Braces aren’t just for kids anymore, which is why we pride ourselves in offering diverse and modern orthodontic services for your entire family. At Dentistry on 7th, you have options with your braces that go beyond what colour band you want to use. We are proud to offer the most up-to-date technology in orthodontia. We offer Insignia brackets, which are custom made metal or porcelain brackets that allow your teeth to move and quickly shift to the position you desire comfortably. Because these are custom, you can also have peace of mind that these brackets are a lot more comfortable than traditional braces. In addition, these modern brackets don’t need elastic changes – which means they require fewer trips to our office! Are misaligned teeth preventing you from smiling with confidence? We have just the thing for you. We provide Invisalign to help align your teeth without the hassle (and appearance) of metal bands and brackets. The process is straight forward; you wear each aligner for two weeks and gradually use increasingly fitted aligners until the desired look is achieved. Invisalign acts as clear “braces” – which makes them barely noticeable! Revitalizing your smile doesn’t need to be a hassle (or unsightly), which is why we are happy to offer such an efficient option. Don’t get discouraged by the teeth whitening solutions and strips that offer empty promises – you have other options. We offer teeth whitening services that will help give a healthy glow to your smile. Our porcelain veneers are an ideal option to whiten your smile. We can lighten stained teeth by bonding a thin layer of porcelain to provide a whiter gleam. Veneers are multi-functional when it comes to improving your smile, as they can correct cracks, chips, and gaps in your teeth. No one will even be able to tell that you have veneers, because the result is subtle and natural looking! Our veneers will not only give you a new smile this year but will help you maintain it – they are resistant to any other stains or damage. Everyone deserves a functioning smile, which is why our Hamilton dental office offers dental implants. These implants will help to rectify any damaged or lost teeth. When our Doctor of Dental Surgery – Dr. Sarna – approaches implants, he takes everything into account to ensure that they are well suited to your physiology. We are happy to provide a permanent solution to dental problems with implants that will give you a natural looking, healthy smile. We are committed to your dental health and your confidence in your smile. At Dentistry on 7th we have access to high-quality laser dentistry tools. Specifically, we use the Fotono Lightwalker – a laser-powered tool that removes soft and hard tissue with laser-powered water droplets. This cutting-edge technology available in our Hamilton dental office can brighten your smile by lifting and reshaping gums, removing decay, and performing dentin and enamel procedures. The technology has a wide variety of functions, so we know that it will most likely be able to solve any dental issue that you may think is in the way of your smile! The effective tool will help significantly improve your dental health and restore your beautiful smile. After we help you brighten your smile, we want you to take pride in your teeth – which means maintenance. We’re here to remind you of what you already know – take care of your teeth on your own time. A natural way to keep your smile bright is to brush your teeth well, and regularly – but not too harshly. Find a toothpaste and toothbrush that suits your unique needs, and be diligent about brushing your teeth twice, if not more a day. Remember, there are also many foods and drinks that can stain and decay your teeth – so consume with caution to preserve your smile. What many forget about dental health, is that flossing is just as important as brushing your teeth. Don’t forget to floss after meals – your teeth and gums will thank you. Pure white teeth are not natural – they appear strange and fake. That’s why when you come to us to refresh your smile, we provide the treatment that best suits your needs and provides a fresh, natural-looking appearance. Everyone has different colouring, and a different health situation and budget. We understand that a glaringly white, unnatural smile is not your goal. We are here to work with you to see what works best for your unique smile. Get in touch with us today to book your consultation! We’re happy to answer any of your questions and discuss your different dental options.